David Jolly, a Florida Republican Representative brought up the issue of the impending threat of the Zika virus after he brought a jar containing about 100 mosquitoes to the US House of Representatives. His move, that has caused quite a stir, was in protest of the failure on the part of the Congress to pass legislation to combat the mosquito-borne virus in the state of Florida. "I rise with about 100 mosquitoes straight from Florida... mosquitoes capable of carrying the Zika virus," Jolly said, holding the container. "This is the reason for the urgency, this is the reason for the fear," he was quoted as saying by NBC Miami. The bill, providing USD 1.1 billion to help combat the virus, is stalled in the Senate, where Democrats are blocking it in a dispute over restrictions the bill would place on funding for Planned Parenthood clinics. Jolly, who represents the 13th District in Pinellas County, said the mosquitoes, still in their larval stage, came from researchers at the University of South Florida and are not active carriers. He brought them to the House to criticise Congress for failing to pass legislation to combat the mosquito-borne Zika virus in the Sunshine State. There have been 56 non-travel related Zika cases in Florida, many of them in Miami-Dade's "Zika zones" in Wynwood and Miami Beach, according to the Florida Department of Health. Additionally, some 577 travel-related Zika cases have been reported throughout Florida. Jolly said he brought the mosquitoes to the House to convey the fear Floridians are feeling. 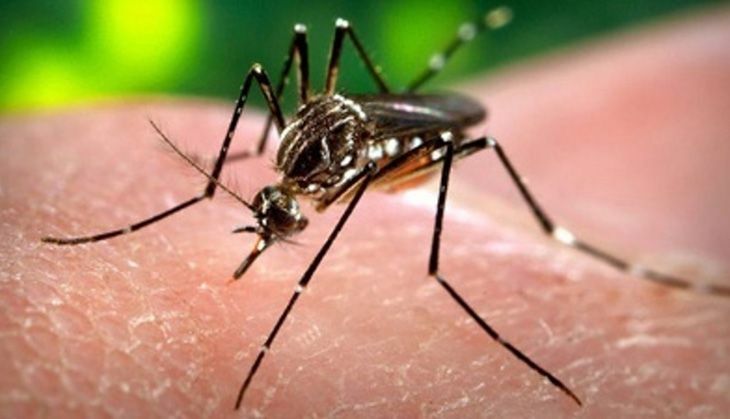 "It is our job to respond to the fear and the anxiety and the anger of a population concerned about a pending public health crisis, concerned about mosquitoes," he was quoted as saying. "You see, I brought these mosquitoes here today to convey that fear and that anxiety of millions of Americans and Floridians," he said. "Can you imagine, colleagues, the fear and anxiety in this chamber if these 100 mosquitoes were outside this jar, not inside this jar? Members of Congress would run down the hall to the physician's office to be tested, they would spray themselves before coming down here. This is the fear of Floridians right here," Jolly said. Jolly is locked in a tough race in a redrawn congressional district against former Republican Governor Charlie Crist, who has since changed his affiliation to Democrat. The congressman said Floridians are angry. He said it is too bad that candidates are going to spend money on campaign commercials about Zika, instead of responding together to solve the public health crisis. "The time for politics of Zika is over. The politics of Zika are garbage right now," he said.